Cut to Order, Ships in 2-3 W/Days. Thin, strong, high temperature resistant fibreglass cloth with a silicone adhesive. Withstands continuous exposure to temperatures up to 180°C. Made with a thermosetting silicone adhesive that increases in strength when exposed to heat. Excellent electrical insulation performance and good mechanical properties. Our Adhesive Fibreglass Tape with High Temperature Silicone Adhesive is designed for demanding applications. It is made from a thin layer of woven fibreglass cloth that is highly conformable. The edges of this tape are designed not to fray and the tape itself will resist stretching. This high temperature fibreglass tape is able to withstand continuous exposure to temperatures up to 180°C. This is largely due to the silicone adhesive used (the fibreglass will handle far higher). This adhesive has been specially developed for high temp resistance and will bond to most surfaces and material types. Our high temperature fibreglass tape is most commonly used for wire bundling, as an electrical insulation tape in electric motors and transformers of fore securing other types of heat insulation. 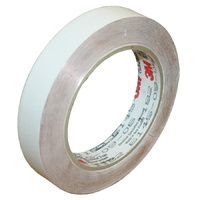 This tape is available only in white and is supplied on 55 metre long rolls. The widths listed on our site are our standard sizes but others can also be produced upon request. This high temperature insulation tape is flame retardant and UL recognised. Bundling of wires and cables in high temperature environments. Overwrapping and securing non-adhesive heat insulation materials. 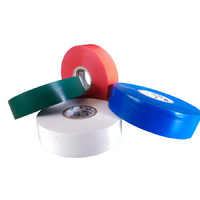 As a general-purpose electrical insulation tape where high temperature resistance is required. Wrapping of coils in electric motors. Many other high heat locations where other types of adhesive tape cannot be used.